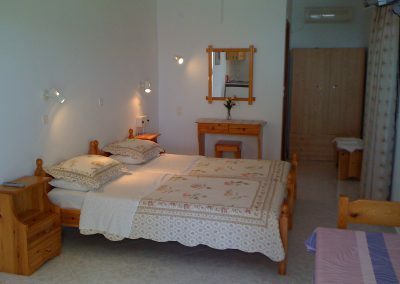 Looking for nice studios in Karpathos? 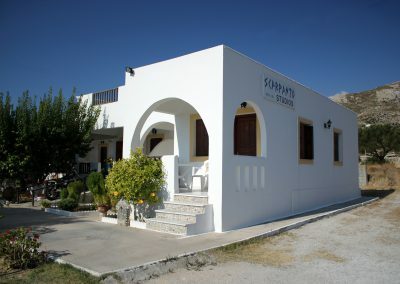 Build in 1996, Scarpantos Studios provide all the comforts one needs for a perfect stay in Karpathos. Six independent studios are waiting for you in a quiet and confortable environment. Scarpantos Studios are situated in the Amopi area of the island, centrally located between the airport area, Afiarti, and Pigadia, Karpathos’s capital. 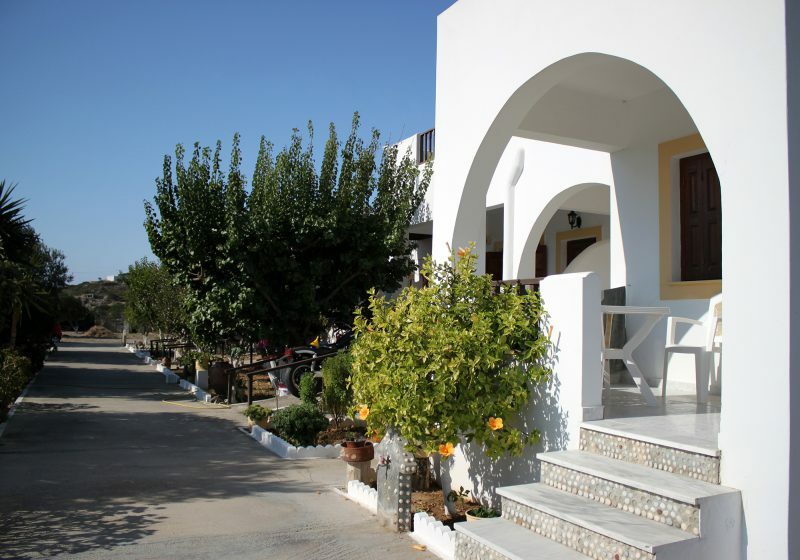 Within walking distance of our studios are restaurants featuring authentic Greek cuisine and mini markets providing all of the daily essentials. 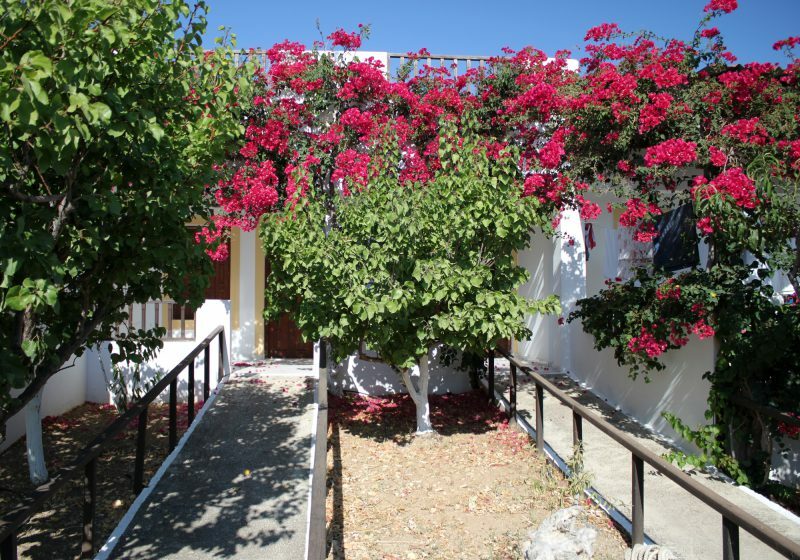 Karpathos is the second largest island in the Dodekanese, after Rhodes. It is situated between Crete and Rhodes, in the “Karpathian Sea”. The location of the island is strategic since it is the natural bridge which unites Crete with Asia Minor. The variety of scenery of the island is unique. The transition from scenery to another and the changes of colours and shapes are frequent and unexpected and never make the visitor feel boredom or monotony. In contrary, high and steep mountains (Lastos, 1215 m. high, the highest in the Dodekanese) compose unique scenery. Variety, contrast and harmony compose fascinating scenery and an unforgettable destination. Rightly Karpathos is characterized as one of the most beautiful islands of Greece. 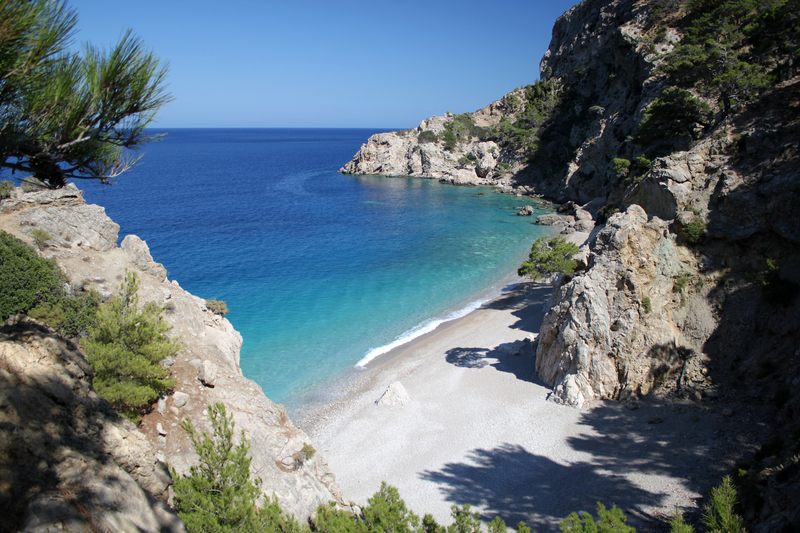 The beaches of Karpathos are something the visitor cannot find in many islands of Greece: virgin beaches with crystal clear waters, with sand or tiny pebbles, which have remained untouched by human activity. Need more information? We are at your disposal. To book a studio, check availability, or for any other request, do not hesitate to contact us by phone, mail or using the form below to send us your message. We will be happy to answer you as soon as possible. © 2018. Scarpantos Studios. All Rights Reserved.